Kiva Ninjas making loans – making a difference. This is an example of the real-world learning we are trying to promote at our school. Students learn first-hand about poverty, global issues, and financial responsibility. The best part is that when loans are repaid, money can be used again to fund new loans. 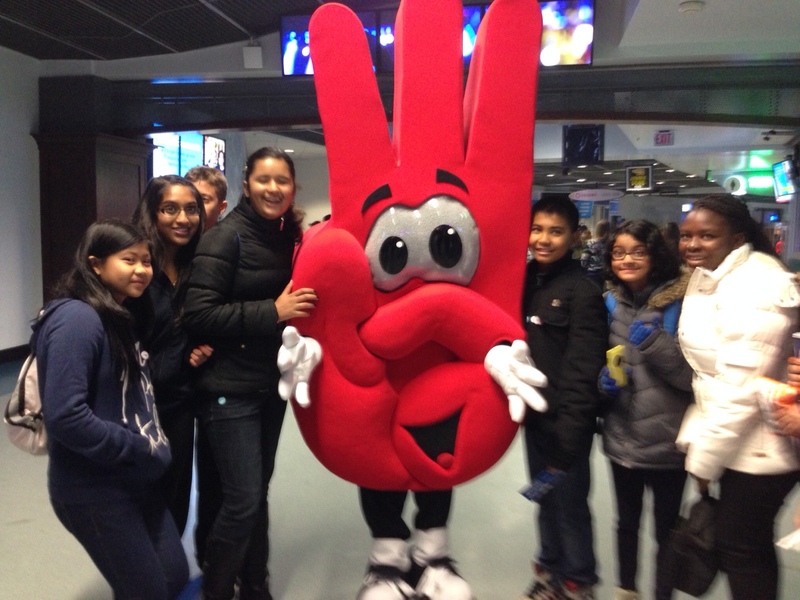 This past Friday, Mrs. Rempel and members of our Leadership Team had the opportunity to attend WE DAY at Rogers Arena in Vancouver. They heard many speakers, including Martin Luther King III. He challenged kids to do their best at whatever they choose to do. The example he used was that of a street sweeper…if you are a street sweeper, then sweep streets like Shakespeare wrote poetry. Take a look at lots of Scurvy Pirates made by Divisions 14 and 15 using the Pirate Cam App at http://georgesvanierlibrary.edublogs.org/ Arrrr! And…just one more week until the Book Fair…October 28th to November 1st. Yahoo! We know that education is much more than remembering facts and taking in as much information as possible. Education is much more about encouraging students to be creative problem solvers. Today’s students will be required to solve problems in the future that do not yet exist. Watch and discuss this video with your child. Do you give your child the time to be creative? This entry was posted in Vanier News and tagged @georgesvanier36, assessment, authentic learning, georges vanier, georges vanier elementary, georgesvanier, home school communication, kiva, learning, learning commons, mystery skype, mysteryskype, parenting, parenting corner, parenting strategies, skype, student led conferences, surrey, surrey schools, surreyschools, teaching, technology, vanier, vanier news, vaniernews, we day, we day 2012, we day vancouver, work that matters. Bookmark the permalink.